We all slack off a little on exercise routines and healthy eating habits during the holiday season. Between Thanksgiving and the New Year, I typically indulge because I know when the first of the year rolls around, I will tighten the reins again. Despite a few indulgences, I do stay diligent with two habits that make a huge difference without too much effort. 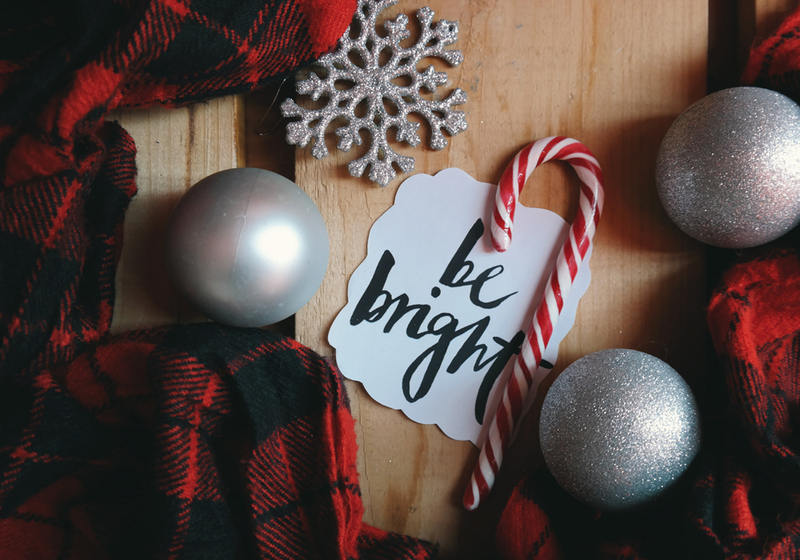 This holiday season, enjoy the parties and get-togethers, but focus on getting enough sleep and drinking plenty of water to greatly impact your overall health and well being. Adults need 7-9 hours of sleep each night to fully recharge our bodies, so making sleep a priority is vital to staying healthy overall. Sleep deprivation leads to hormone imbalances within our bodies, affecting appetite, energy, and metabolism. Extra cortisol, also referred to as the “stress hormone,” may be produced as a result of not getting enough sleep. Insufficient sleep is also linked to lower levels of leptin, a hormone that tells the brain when you’ve had enough to eat. This reduction can result in increased food cravings and overeating. What prevents you from sleeping sufficiently? Many people, including myself, spend nighttime hours “vegging out.” Even though it feels good to escape from reality at the end of a long day, be mindful of when to stop. You’re not doing yourself any favors if this downtime is eating into hours of precious shuteye. It seems that regardless of how tired I feel during the day, at night, I can always binge watch my favorite shows on Netflix, and here is where diligence comes into play. Whether you set an alarm on your phone or make a pact with your significant other about a new bedtime, do what works for you…and really do it! Getting sucked into YouTube or spending just a few more minutes on Facebook aren’t worth feeling sluggish or having a voracious appetite the next day. You will thank yourself when your alarm goes off the next morning, and you feel refreshed and energized. If you are getting 7-9 hours of sleep every night and still aren’t feeling rested, you should consult your doctor. Through sleep studies, your doctor can test for sleep apnea and other issues that may prevent proper sleep patterns. Our bodies are about 60% water. Adults should drink one ounce of water per pound of body weight every day. Being well hydrated is crucial to maintaining proper function in every system in our bodies, including the heart, brain, and muscles. Proper hydration improves brain function, concentration, memory, and mood. It can even reduce anxiety and fatigue. People often confuse the signs of dehydration with those of hunger, leading to overeating. When our bodies are well hydrated, we have more energy and fewer cravings, and constipation is less likely. Drinking plenty of water can even help you lose weight. In fact, for up to 1.5 hours after drinking 17 ounces of water, your metabolism increases by 24-30%. Staying hydrated throughout the day is crucial. Again, it doesn’t take much effort, but it does take diligence. If you don’t like the taste of water, just add lemon or a small amount of fruit juice or sports drink for added taste. One simple start is to drink water with all of your meals. Keep water in your car, and make an effort to finish a bottle of water while you drive to and from work. Find out how much water you need based on your weight then try to meet that goal every day. It may help to pre-fill containers each night with the goal of finishing them off by the end of the next day. We hope everyone has a safe and happy holiday season this year. Enjoy your time with friends and family. Indulge a little in your favorite things, but stay mindful of your sleeping habits and water intake. Staying healthy always makes us feel better, physically and mentally. When this New Year rolls around, you may not have as much work to do as you have in the past! National Sleep Foundation, How Much Sleep Do We Really Need? Division of Sleep Medicine at Harvard Medical School, Sleep and Disease Risk. WebMD, What Counts as Water? Stay Hydrated and Healthy. WebMD, Water and Your Diet: Staying Slim and Regular With H2O. Harvard Health Publishing, The importance of staying hydrated. Authority Nutrition, 7 Science-Based Health Benefits of Drinking Enough Water. Health.com, 11 Reasons You’re Always Hungry.